3.36 ACRE WOODED & PRIVATE COUNTRY OASIS OVERLOOKING VALLEY, WITHIN 9 MINUTES OF RICHARDSON/HWY 55 SHOPPING/RESTAURANTS!!! 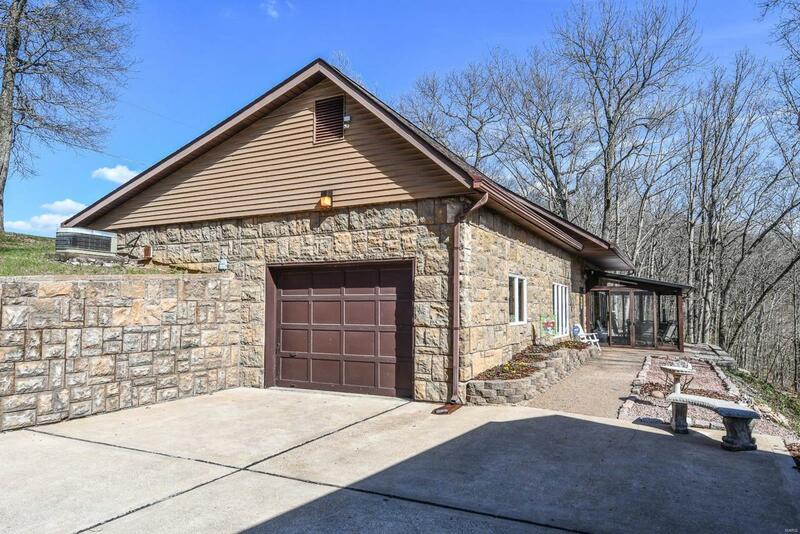 1-Bath, 1-BR, w/large SLEEPING ROOM/office/den, Large eat-in kitchen, Living room, & 3-Season fully glass enclosed sun porch with 7 sliding glass doors, overlooking a magnificent wooded valley LOADED with deer, turkey, hawks, and birds galore! This beautiful, secluded & energy efficient property on public water, boasts a large utility/shop/storage/workroom, updated bathroom w/Ultra Thermo Masseur whirlpool tub, Br w/ 2 closets & closet organizers by St. Louis Closet Co, Thermopane Anderson windows, R-32 Insulation, 80-Gal water heater, 6-Panel doors, New roof with 35-year shingles & Gutter Helmet covers, ADT security system w/cameras, Newer Kitchen/Bath Congoleum Durastone flooring, 1-Attached & 1-Detached Garage, Large Storage Shed, Fire Hydrant on property, 12 thick concrete walls, Extra Parking.